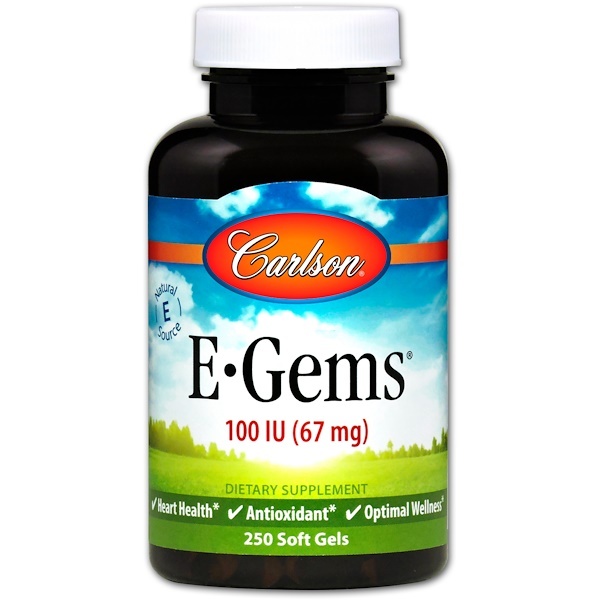 E-Gems provide 100 IU of natural-source vitamin E per soft gel. 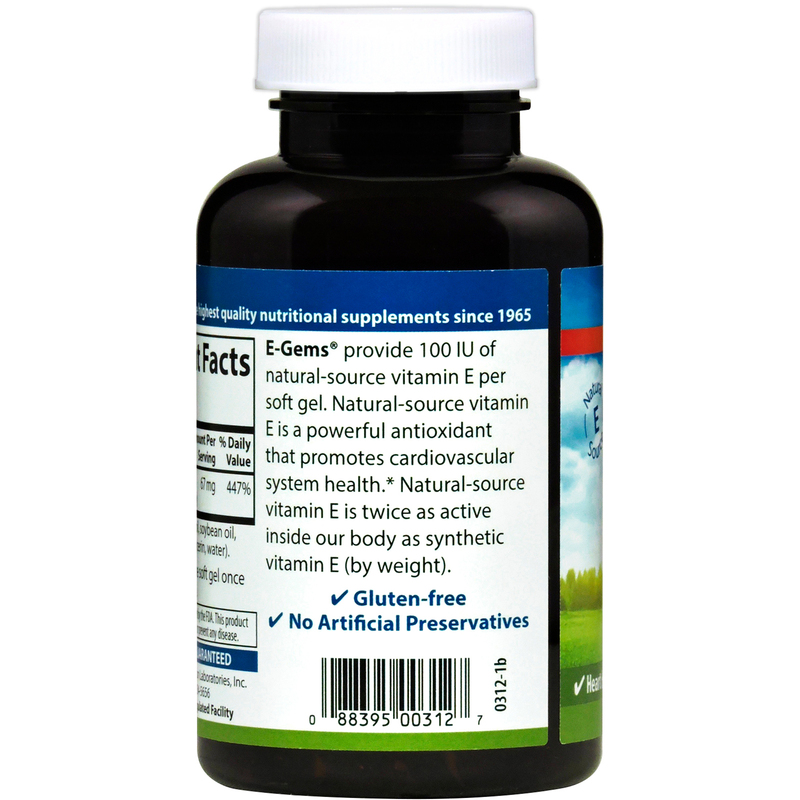 Natural-source vitamin E is a powerful antioxidant that promotes cardiovascular system health. Natural-source vitamin E is twice as active inside our body as synthetic vitamin E (by weight). 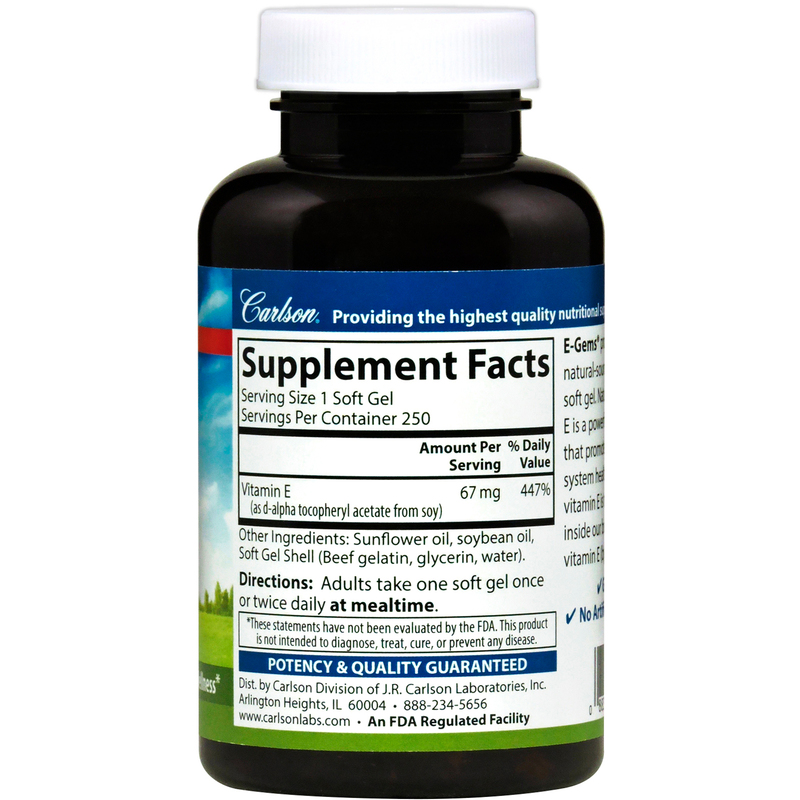 Sunflower oil, soybean oil, soft gel shell (beef gelatin, glycerin, water).